Below you will find a list of the Xcelsius Gurus who contribute to this blog. Everything Xcelsius could not be successful without these guys. Their continuous contributions and willingness to share their knowledge with our readers is immeasurable and we appreciate you!! Position: Founder, Centigon Solutions, Inc.
About: As a previous technical evangelist and sales consultant at Infommersion then Business Objects, Ryan has implemented hundreds of Xcelsius projects spanning over 5 years. His interactive data visualization and design background coupled with his business insight and technical aptitude has propelled him as one of the top Xcelsius experts in the world. As co-author of Crystal Reports 2008 the Official Guide, Ryan continues to write and push the envelope for dashboards and Xcelsius on his blog: www.ryangoodman.net/blog. About: Mike Alexander is the author of several books on advanced business analysis, including Crystal Xcelsius For Dummies. He has more than 14 years experience consulting and developing reporting solutions for a variety of industries. In addition to consulting, Mike is also serves as the principle contributor at www.datapigtechnologies.com, where he shares free video tutorials with the Microsoft Office and Xcelsius communities. Mike has been named a Microsoft MVP for his ongoing contributions to the Excel community. Position: Senior Flex Architect, Centigon Solutions, Inc.
About: Evan is involved in a number of Enterprise Business Intelligence projects and component integrations based on Flex, Xcelsius and best-of-breed data warehousing toolkits. Outside of work, you can catch Evan retreating to the beach to surf, to the wilderness to fish or anywhere outdoors to have a good time. About: Kalyan Verma is a BI consultant and a freelance Xcelsius Developer. He is based out of Boston, MA and his technology interests range from BI to Visual Data Analysis. 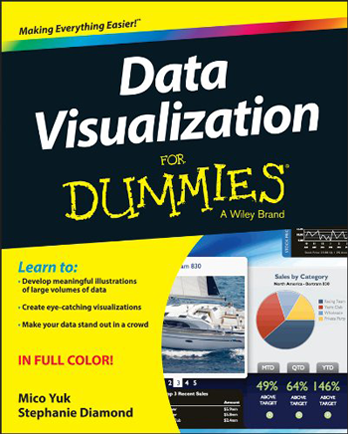 Any visual graphic representation of data catches his attention. He believes in “Let others learn from your experiences and ideas and feel some of the personal fulfillment that comes with it.” In his free time, Kalyan likes to play Table Tennis and loves to take his Motorcycle for a ride when the Sun is out and bright. He is the Admin/Editor/Author of MyXcelsius.Com. About: Donald MacCormick has been an active member of the business intelligence community for over 20 years having worked through the Holistic Systems to Crystal Decisions to Business Objects to SAP acquisitions. At BusinessObjects, Donald was heavily involved with the acquisition of Xcelsius and has always been a vocal advocate for the product in the marketplace. He is the author of the XComponents, the most widely downloaded add-on for Xcelsius, which are available at www.antivia.com/xcomponents. Over the years Donald has spoken at many industry events and participated in panel discussions on a wide range of BI related topics.